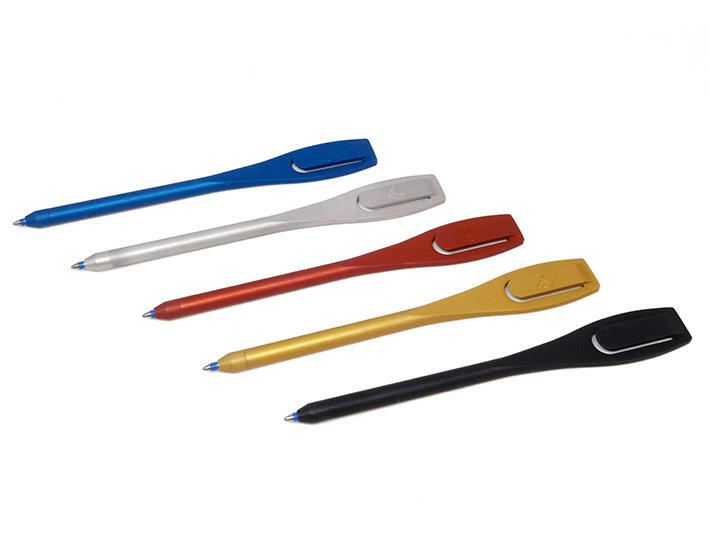 Inspired by golfers' pencils, Soixante5's stylopido is a small, practical, fine and refillable ball pen. With its staple-shaped head, it can be discretely slipped in a notebook. Made with solid aluminum and a matte finish, it is a sober and elegant design object. Price of the presented article : 70 ?